What fun! 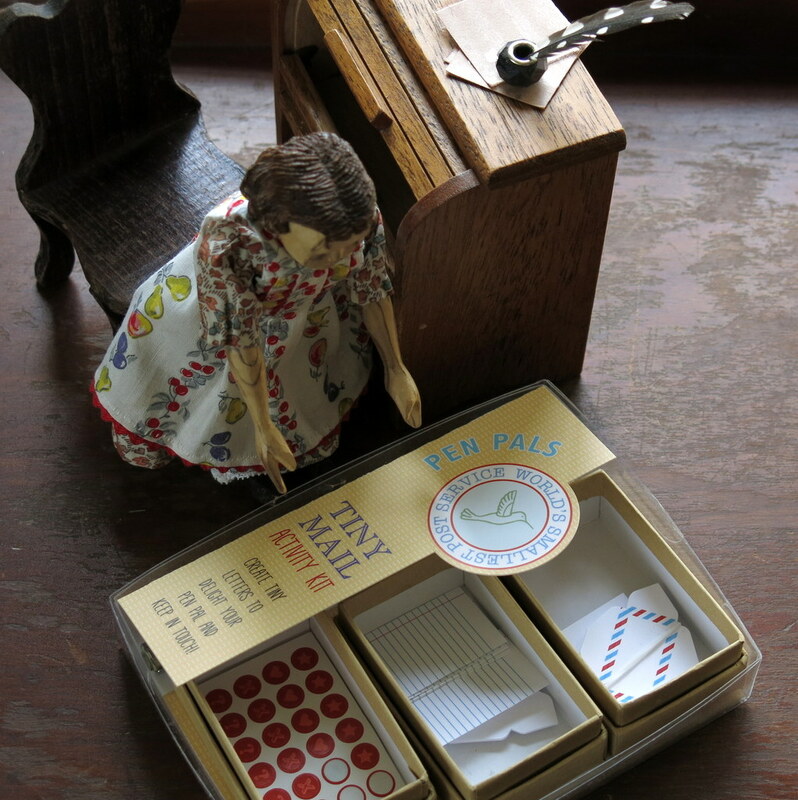 Eugenia has fun stationery, a cool desk and thoughts to send along to another….no doubt delight will be had on the other end of the postal note. Nothing more joyful than a real letter in the mail! where in the world did Eugenia get that marvelous stationary?? Hitty Heather is quite agog!! The Country HIttys did post some mail this week to their pen pals. Love the desk and all of Eugenia’s accessories. A Hitty friend sent us the kit, and we adore it!!! A rainy day is the perfect time to catch up on correspondence. 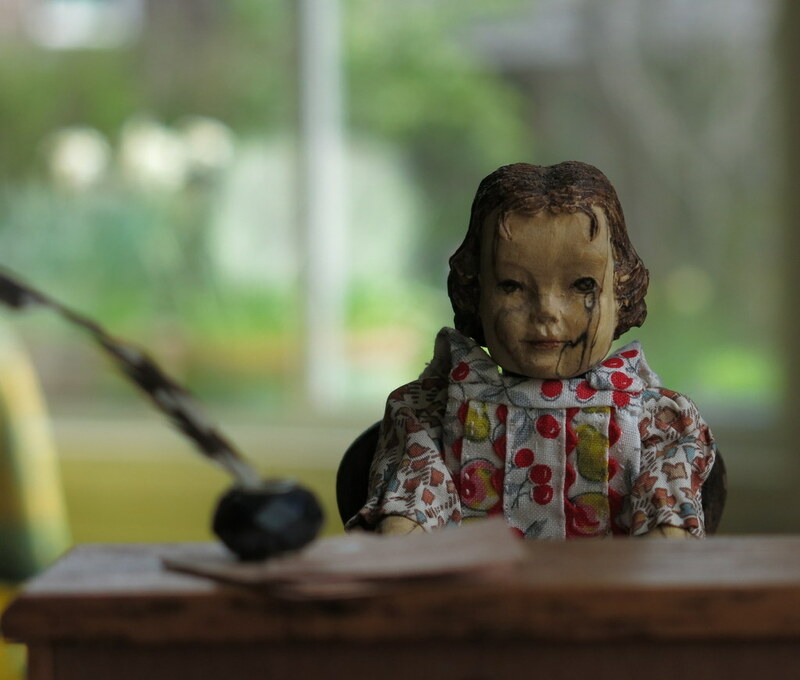 Eugenia’s little antique desk is stunning. 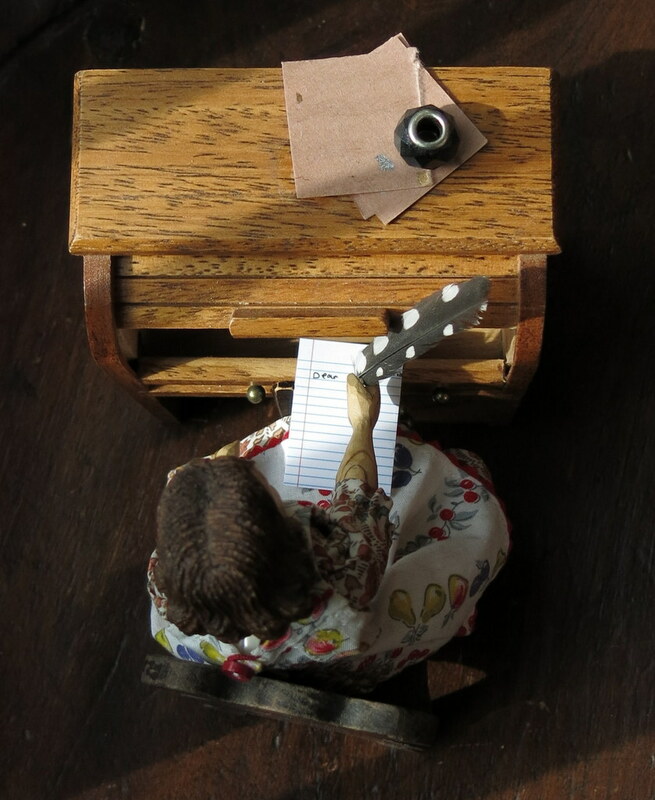 It is a good day to remember to be in touch with people we love…Eugenia’s desk used to be a musical box until she extracted the broken mechanism.